I am a practicing physician in Pueblo, Colorado. I have practiced in this area both pre-legalization and after legalization. Our county commissioner likes to refer to this town as the “Napa Valley of Cannabis”. There has been a lot of misinformation with regards to how well this “social experiment” (called so by Gov. Hickenlooper) has been going. I work in the 3rd busiest emergency department. Our patient volume/year is over 90,000. In the last several years, we have seen a marked increase in the number of people visiting for hyperemesis (extreme vomiting), accidental exposures, intentional exposures, and psychosis. Perhaps, of all the cases I have seen, the psychosis is the most concerning and frightening to me. Let me just describe this case to you: Several months ago, there was a previously described normal 16 y/o. He went on vacation to a city in the south. On that vacation, he had a psychotic break. This was so significant that his parents drove there and drove him home. They were very concerned about putting him on a plane. He was evaluated in the ED here and admitted to the adolescent psychiatric unit. He did not have a history of drug abuse, psychosis, mental illness, nor did the family. He only tested positive for marijuana. He had another acute psychotic episode there. He assaulted 3 health care workers and stabbed a security guard in the face. He was tased 3 times with no success. Finally, he was sedated. Due to the lack of mental health care beds available in the area (or state for that matter), he was released after a few weeks. Subsequent to that, he was brought to the off-site ED for medical clearance for jail. He had had another psychotic episode, assaulted family members to the point that one needed to be admitted to the intensive care unit. He is now in jail. I would like to say that this is an isolated case, but we have seen a tremendous increase in psychosis. There are a number of articles written about psychosis developing. With regards to the remaining medical issues occurring with marijuana – there is no question, we are seeing more direct cause illnesses. The reality is that medical science does not really know what is going to happen with individuals who use such high doses of THC. New products are being tested and may be available as pharmaceutical grade treatment for seizures (Epidiolex) and other pain issues, Nabiximols. These drugs have and are being tested by the FDA. Please know, that they are not without adverse effects and the usage of these medications should be monitored by medical professionals, not bud tenders. There have been so many studies that have shown that “medical” marijuana products are contaminated with chemicals, pesticides, heavy metals, bacteria and a variety of fungi. Some of the individuals using these products as “medicine” may have numerous other medical problems, be on other medications, have compromised immune systems, etc. Ultimately, I do think that there may be some indications for the use of CBD with certain medical problems. But, the treatment and use of cannabinoid products for medical issues should be treated like other medications. There are confirmed medication interactions with cannabinoid products. As an aside, no other medication was approved by popular vote (ie- your blood pressure medication, your insulin, etc). Regarding societal issues, Pueblo, Colorado where I practice is the canary in the coal mine. Our schools have a marked increase in chronic absenteeism – 27% this year (one fourth of children are chronically absent). There is no question, our youth are using more. One of the two hospitals in the area have drastically reduced services, leaving only one hospital to carry the bulk of medical care here in the area. Our homeless population has substantially increased, while the national average is falling. 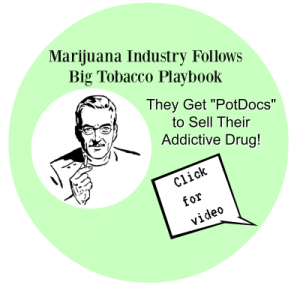 There is a current belief that the use of cannabinoids will decrease the use of opioids. That has most definitely not been the cause in Colorado. While prescription drug overdoses decreased, heroin deaths markedly increased, despite an abundance of marijuana products being widely available in the state. We saw the most opioid deaths ever last year. 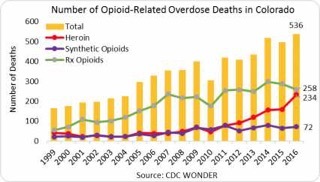 My longitudinal look at drug usage patterns suggests that opioids and cannabinoids are companion drugs rather than a cure for the opioid crisis. So, before passing laws and legislation that enhances the use of marijuana, please research the issues for yourself. Be informed before you subject the citizens of Vermont to the “social experiment” of Colorado. Visit us in Colorado. Come to Pueblo. Meet us. Look around. Decide for yourself. To date, no one has accepted my offer. I extend this offer, once again, to the leadership of Vermont. Contact us, call us, visit us. I have no disclosures to make. I do not own, run, or invest in the marijuana industry.